After positive feedback from the Phoenix piece, we were approached again by the Living Lomonds Landscape Partnership to create an artwork that could be divided amongst all the participants of the LLLP as a token of the project. To communicate that as LLLP came to an end, the ideas and network would live on. 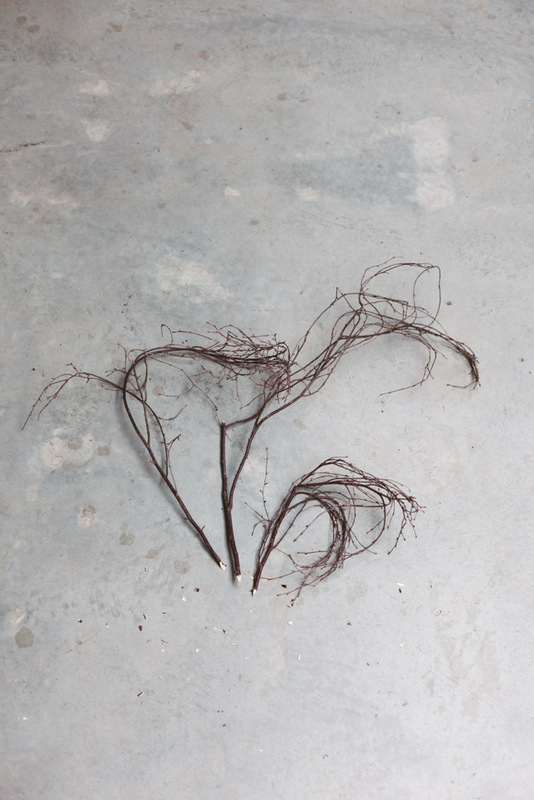 ‘A shared tree’ grew from the idea of the tree as a symbol of connectivity – roots, limbs and branches coming together to make a whole that is greater than the sum of its parts. In Scottish Folklore Birch is the tree of renewal, the mother tree, and the pioneer species. 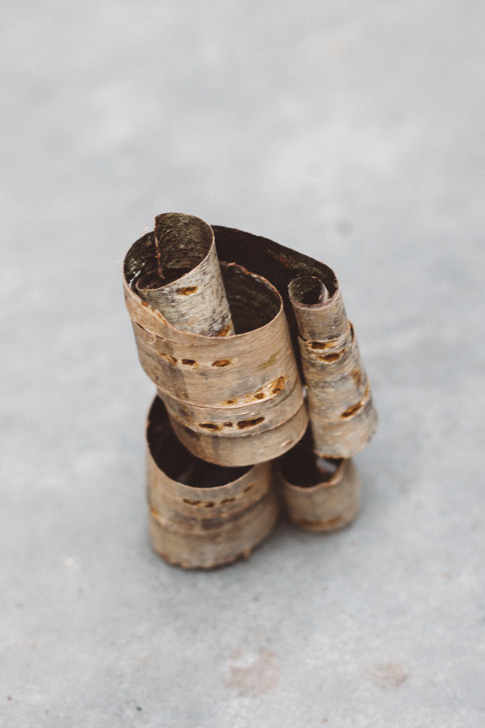 Taking a Silver birch tree from the centre of the geographical area where the project took part, it was split into exactly 80 pieces, one for each participant. These were then made into writing implements, using a pigment made from the earth of the place. When the participants were presented with these drawing tools, they were asked to use them to write down their most valuable experiences from the project. When all the writing tools were brought together, they effectively turned back into the tree from which they came. Giving each participant a feeling of lasting connectedness to the group. Ninian Stewart, Ed Heather-Hayes, Peter Ananin, Living Lomonds Landscape Partnership.